Have you ever read a graphic novel or a comic strip and thought, "I would love to make my own comic... but I don’t know how!" Well, good news! 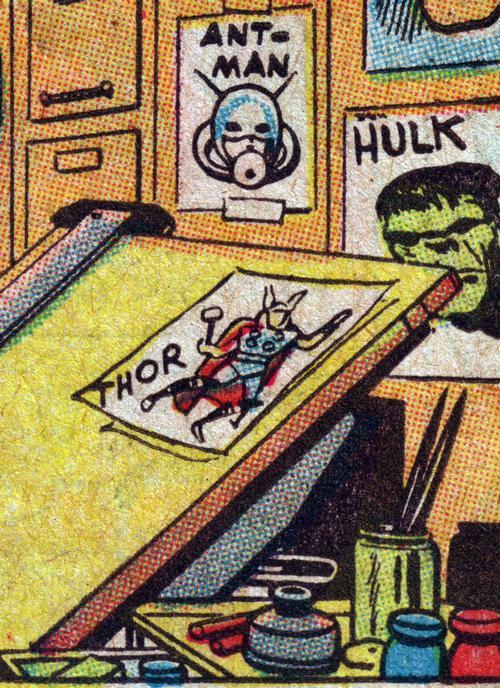 The Free Library has tremendous resources about how to create comics, and here’s just a few of them, from absolute beginner to way, way advanced. If you’ve never even doodled a happy face, here’s a book even our youngest readers can use: Adventures in Cartooning by Andrew Arnold. It covers the absolute basics, from why comics are drawn in squares called "panels" to how to make those whooshing lines to show action. It’s funny, too! Japanese comics, known as manga, have a very different style than Western comics. American mangaka (that's Japanese for "comic book artist") Mark Crilley has written many books about how to draw its unique big-eyed characters. Why not start with his Mastering Manga series's How To Draw Manga Faces, which also includes information about hands, feet, hair, clothing, and poses? 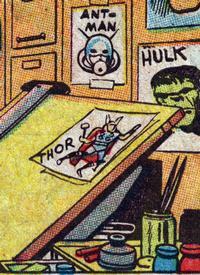 As you become more skilled, your questions about comics may shift from "How do I draw a superhero cape?" to "What is this art form really about?" 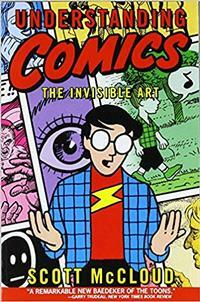 That’s when you're ready for Scott McCloud’s Understanding Comics, the groundbreaking book that’s required reading for everyone serious about what he terms "sequential art". He talks about what makes comics different from other storytelling art forms, how stories are told not in the panels but in-between them, how different cultures have come up with different visual vocabularies, and why we connect more strongly with simply drawn characters like Charlie Brown. It’s not an instructional book, but if you’re looking for that, he’s written a how-to sequel, Making Comics. At this point, you may have drawn a few books and want to get more serious about making polished work that tells complex, heartfelt stories. That’s when you turn to School of Visual Arts cartooning professors Matt Madden and Jessica Abel and their college-level textbook Mastering Comics. This follow-up to their first textbook, Drawing Words and Writing Pictures, also includes information about using digital technologies to create, market, and publish your work. And speaking of digital comics, if you want an exhaustive guide on how to create finished pages like the pros do, Freddie E. Williams covers it all in The DC Guide to Digitally Drawing Comics. It's a master class detailing the step-by-step workflow combining digital and traditional techniques that all big comic book publishers use today. 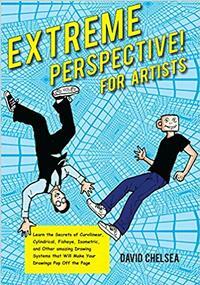 This is the book to chek out when you’re ready to break into the big comics companies as a pro. And finally, if you’re a seasoned professional who’s ready to have your mind blown, brace yourself for Extreme Perspective! for Artists. David Chelsea explains the basics of the esoteric mathematical techniques used to create accurate perspective for objects, shadows, distortions, and more. Don’t be surprised if your head hurts after following the step-by-step exercises, but know now that you are truly a master. 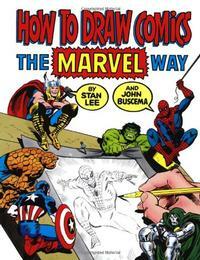 Do you know another how-to-draw book that’s helped you grow as an artist? Drop us a recommendation in the comments below! And it's only September, so maybe with the help of these books you’ll be ready to display your work at the Free Library Comic Con in May 2019! Back at the drawing board, creating comics!